The Gaming Control Board in the state of Nevada recently met in a workshop this past week to discuss progressive jackpot prizes on a multi-state scale, according to a recent report by VegasInc.com. During the meeting the members of the board also discussed online poker and how it can broaden in a multi-state direction. During the meeting, several well-known manufacturers of slot gaming technology were in attendance. Both Bally Technologies and International Game Technology were in attendance and the companies are currently petitioning the Commission to change regulations to allow for progressive prizes on a multijurisdictional level. During the meeting, it was A.G. Burnett, the Chairman of the Gaming Control Board that suggested that adoption of such amendments could be considered the first step towards online poker development with other states. 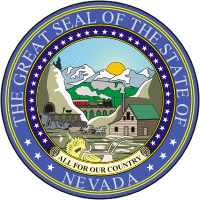 Burnett stated that one could say that Nevada is sticking their toe in the waters when it comes to multi-state partnerships. Sandoval was then asked if he had taken part in conversations with other states on the subject and he stated that ‘they’re interested’. John Moran Jr. is the Commissioner in the state and he has been chosen to create the regulations needed for interstate agreements as he has experience in negotiations. Moran Jr. worked with other states in the past to negotiate compacts for the Colorado River water usage.